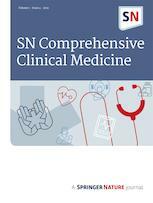 SN Comprehensive Clinical Medicine is a peer reviewed journal that publishes original research in all disciplines of clinical medicine and their subspecialties. SN CCM aims to provide a global forum for the discussion of all aspects of Imaging, Surgical and Medical studies related to diagnosis, treatment and management. In addition, SN CCM serves the international medical community for the dissemination of information connecting research, theory and practice in these fields. Original Research, Brief Communications, Case Reports, Commentaries and Reviews. All papers are evaluated on the basis of scientific content. Submissions are first screened for research and publication ethics prior to single-blind peer review, where the reviewers are aware of the names and affiliations of the authors, but the reviewer reports provided to authors are anonymous. Reviewers are asked to focus on the validity of the data and conclusions presented. SN CCM reviews each submission from a ‘sound science’ perspective. In addition to direct submissions, SN Comprehensive Clinical Medicine welcomes papers that have been referred from Springer Nature’s prestigious clinical medicine journal portfolio. The journal is open to submissions.